To help with your educational goals, the Learning Center provides a variety of services. Free tutoring is available to you in most program content areas. Tutoring is done on a “drop in” basis, in small groups or one-to-one. If you are a current or prospective student, enhancement (developmental) courses are available to help improve your skills in specific areas. For additional information on enhancement courses, contact the Learning Center Director. If you require individualized study, you may take certain career and technical courses through the Learning Center with the approval of the Dean, Learning Center Director, and Vice President of Student & Academic Services, as appropriate. Study is done independently, meaning you begin your coursework at your convenience and determine your own schedule within the normal hours of the Learning Center. The Learning Center Director is the Accommodations Coordinator. If you are a student with special needs, see the Learning Center Director in advance for accommodations. The Learning Center also serves as a Testing Center. All testers are required to provide a picture ID before testing. Tests are proctored for NCC courses taken online or on-campus, assessment tests, CLEP tests, as well as certification tests. Talk to the Learning Center personnel to schedule testing time slots. Proctoring for other colleges can be arranged by request. There is no charge for proctoring ICCOC tests, but a semester fee is charged for proctoring other colleges’ tests. A computer lab and calculators are available in the Learning Center for your use at no charge. Software and videos for review of basic skills and tutorial work are also available. Study rooms are available for individual or small groups needing a quiet work area. The Learning Center also can provide instruction for the high school equivalency program (HSED) and the high school credit recovery program. Northwest Iowa Community College has various programs available to assist you if you wish to complete your high school education. Options include earning a HSED Diploma, an Adult High School Diploma from NCC, or a local high school diploma through the completion of NCC high school credits. For additional information, contact sbreems-diekevers@nwicc.edu about the HSED Diploma or the Director of the Learning Center about high school credits. of Iowa. This diploma certifies that you have achieved a level of educational development comparable to that of a high school graduate in the following subject areas: reading, writing, science, social studies and mathematics. In order to enroll in the Adult Education & Literacy Program to earn your HSED Diploma, an individual must be 17 years of age, not currently enrolled in high school and not a high school graduate. Instruction will be tailored to meet the student’s academic needs. In order to begin the official HSED tests, a student must be 17 years of age and must demonstrate sufficient skill mastery in each subject area. The HSED tests are available in English, Spanish, and in alternate formats for individuals with documented disabilities. If you have not completed high school, you may wish to enroll in Northwest Iowa Community College’s Adult High School Diploma Program. Credits may be earned or obtained from a variety of sources such as an accredited high school, the NCC Learning Center, or the Northwest Iowa Alternative High School. Contact the Learning Center for additional information. For anyone under 18 years of age or whose high school class has not graduated, admission to the high school credit program requires written permission of the local school district and parent/guardian. 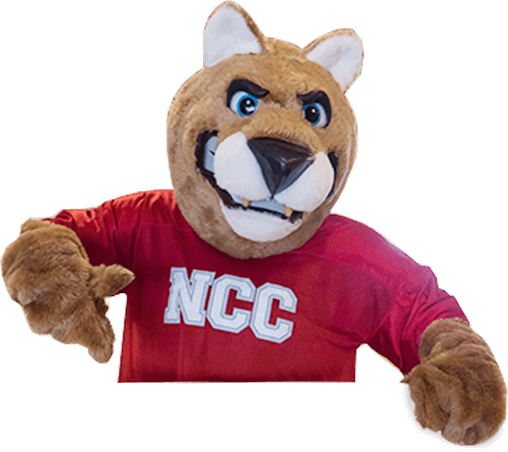 High school credits earned through NCC can be applied to an NCC Adult High School Diploma or transferred to the local high school district to meet its graduation requirements. The Northwest Iowa Alternative High School is a cooperative program between local community school districts and NCC. To be admitted to the Alternative High School, you must be referred by your local school district. This program is intended for individuals not in regular attendance at their local high school. Contact the Alternative High School Lead Instructor for additional information. To assist you in your college career, NCC offers enhancement courses. Enhancement courses are designed to strengthen your skills if you have academic deficiencies or have been out of school for a period of time. You may be required to enroll in enhancement courses before beginning your college coursework. Credit from enhancement courses is not transferable, does not count toward your grade point average, and does not meet graduation credit requirements for diploma or degree programs. The current per credit tuition and fees apply to courses. These courses can be included in the calculation of your course load. Enhancement courses are offered on an individual basis in a self-paced, open-entry format through the Learning Center. With sufficient enrollment, courses may be offered in a scheduled classroom setting. You must register for these courses in Student Services. Textbooks are checked out from the Learning Center. Northwest Iowa Community College works with high schools to provide services to fifth-year seniors who have an Individualized Education Plan (IEP). The 4+ program provides oversight of academic and attendance issues, academic counseling and career planning. The 4+ coordinator reports regularly to the local school district to provide progress reports on IEP goals. Students who participate in this program must be recommended by the high school. If you are a parent or student desiring this service, please contact your high school counselor prior to graduation. The student’s IEP is developed and managed by the high school, with input from the NCC 4+ Coordinator. The 4+ office is located in the NCC Learning Center. For more information email: LearnCenter@nwicc.edu, or call 712-324-5061, ext. 151. Contact the Accommodations Coordinator at 800-352-4907, ext. 118 or see NCC’s website for an application for accommodations. Submit the completed application and supporting documentation to: Northwest Iowa Community College, 603 West Park Street, Sheldon, IA 51201, Attn: Accommodations Coordinator. An application is required each semester. Schedule a time to meet with the Accommodations Coordinator to discuss coordination of these services. Contact the Accommodations Coordinator with any questions during the process. The Post 9/11 GI Bill (Chapter 33), the Montgomery GI Bill—Active Duty (Chapter 30), the Montgomery GI Bill—Selected Reserve (Chapter 1606), the Reserve Educational Assistance Program—REAP (Chapter 1607), Veterans Affairs Vocational Rehabilitation Program (Chapter 31), Veterans Education Assistance Program—VEAP, and Survivors’ and Dependents’ Educational Assistance Program (Chapter 35) provide educational benefits for veterans attending NCC. Information concerning veterans’ educational benefits and applications may be obtained from NCC’s Registrar.